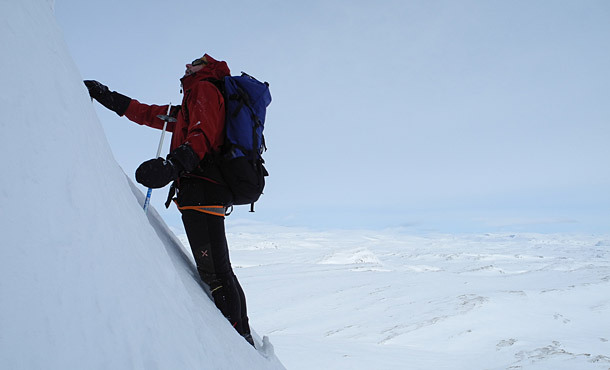 An adventurous crossing from Haukeliseter over the Hardangerjokulen glacier plateau to Finse. 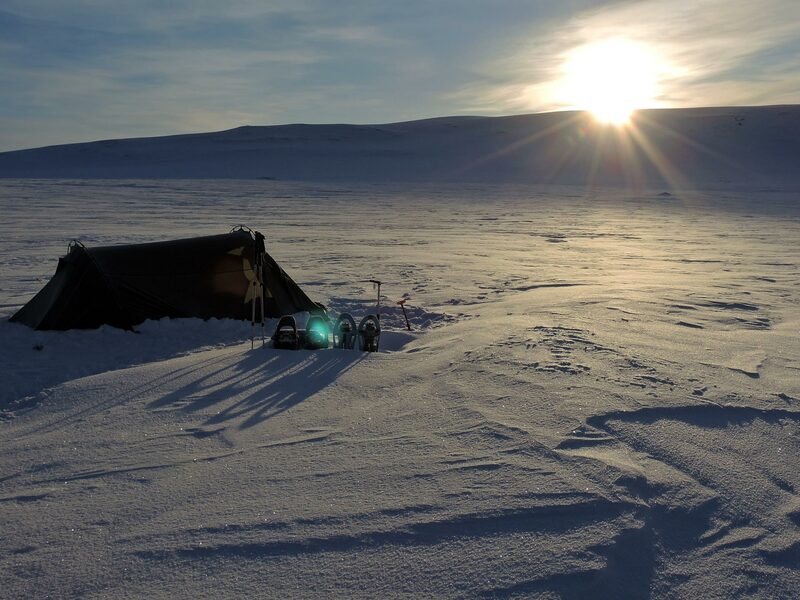 Europe’s largest plateau offers real test conditions to many adventurers in the winter: 1896 Roald Amundsen and his team have trained here for the upcoming polar expedition to the Arctic. 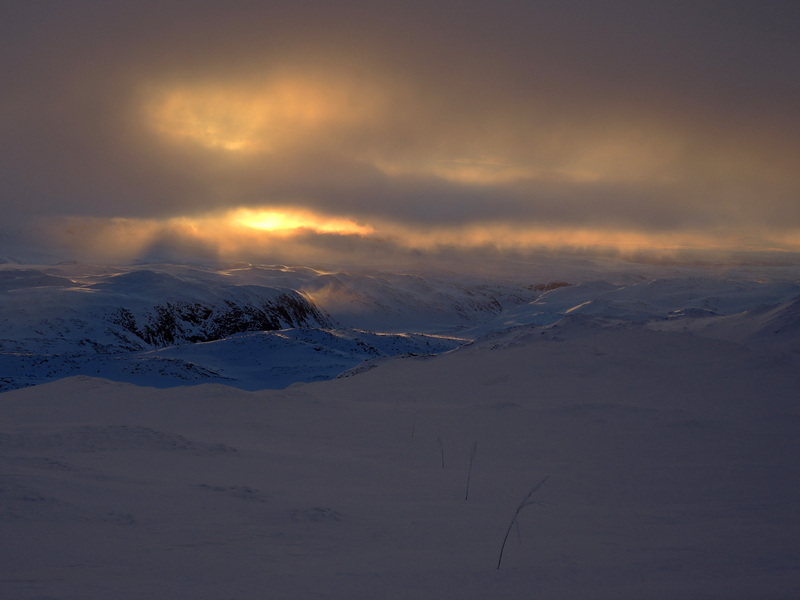 In fact, the Hardangervidda offers amazing arctic conditions in winter. It is said, that it is Europe’s winter chamber. 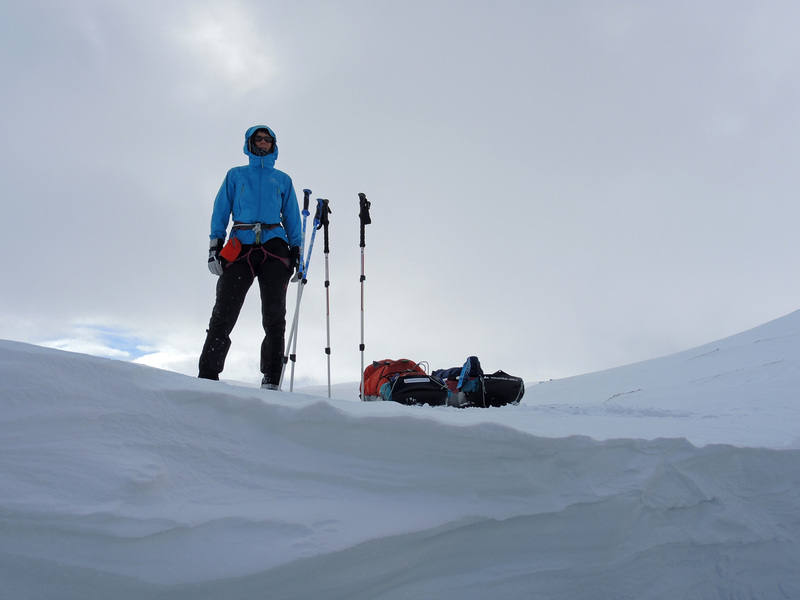 The idea of a winter crossing went through our heads for a long time in the past. Now it was a good time for the trip and we are heading for our way to Haukeliseter, our starting point for the tour. 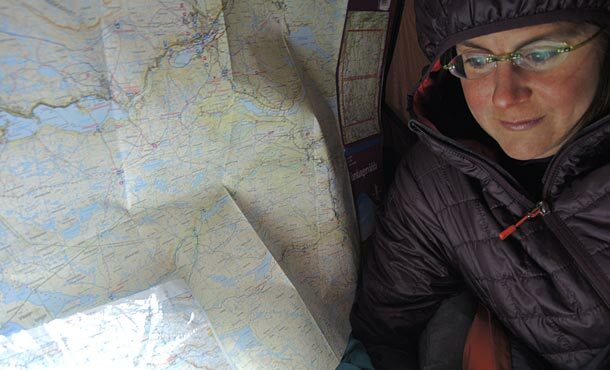 From here we plan to walk about eleven days north over the plateau (plus two extra days for reserve). 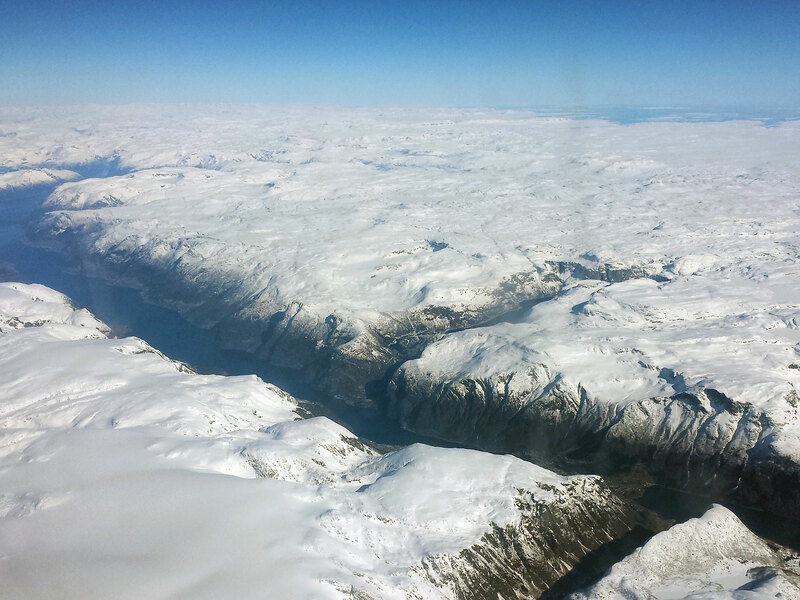 Our destination is Finse with Norway’s highest train station. 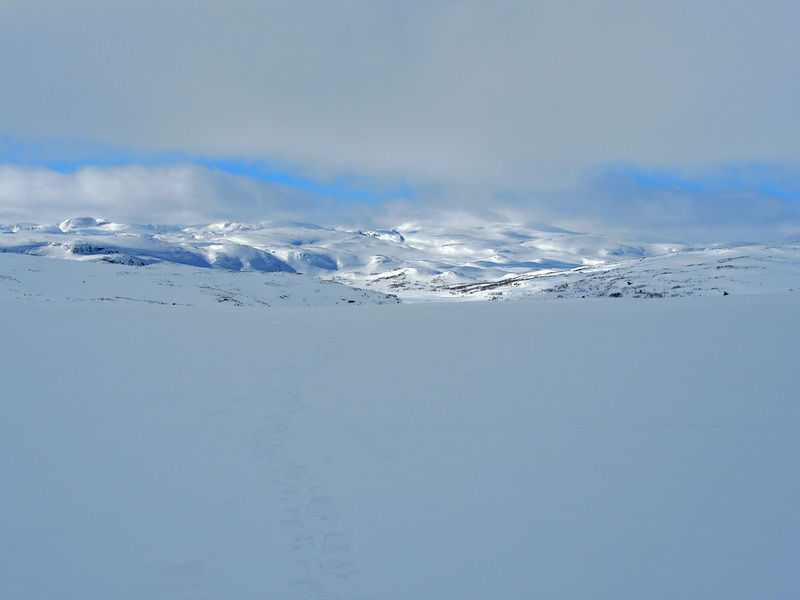 The eastern part of the Hardangervidda plateau is mostly flat, so we decided to hike through the western part of the Vidda, where the terrain is mostly hilly. Steep ramps are rather an exception, and the terrain was well accessible with our two Pulkas and about 60 kg total weight (including food for 13 days). Due to the varying weather conditions, the main problems of a winter crossing are orientation and the handling of the ongoing cold. In addition we had to deal with a record amount of snow this year. 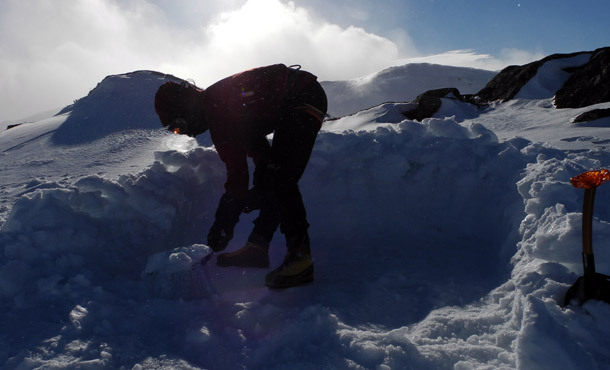 On our tour we experienced the whole weather range: beautiful sunny days with gorgeous views, but also days with long-lasting snow storms and only a few meters visibility. It was always a special experience, when the weather suddenly changed and the sun broke unexpectedly through the clouds. Thanks to our good equipment, our two ultralight Alpin Pulkas and a very good preparation, we had an unbeatably low weight. However, our small lightweight two-person tent was a surprise. 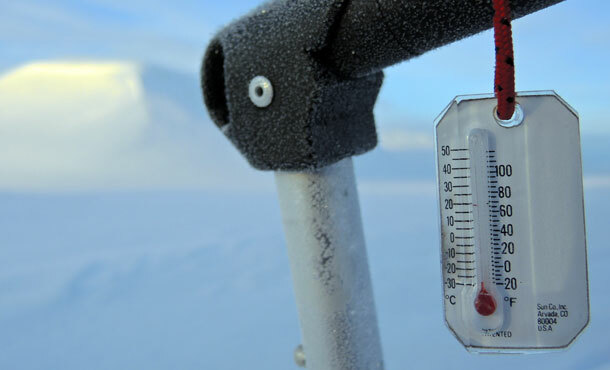 The frosty night temperatures up to –30°C resulted in a large temperature difference at the inner wall tent. 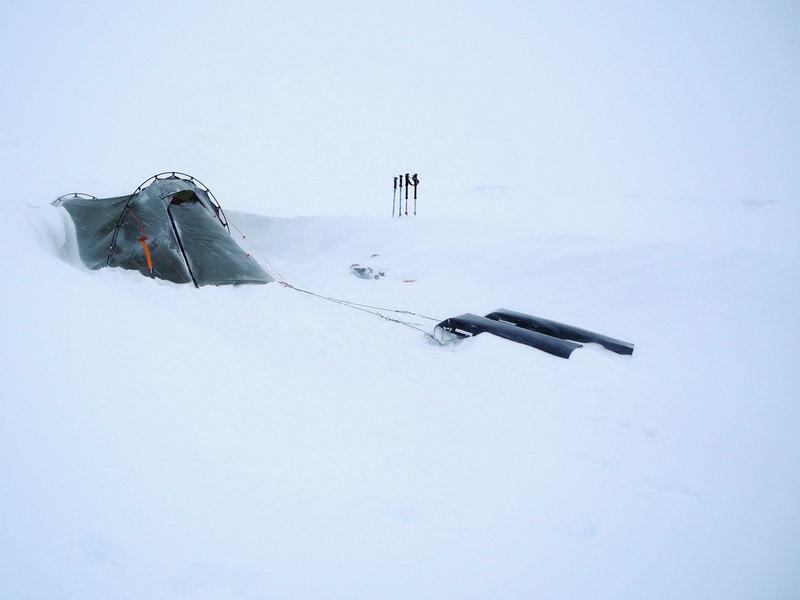 Additionally we had several nights with heavy snowfall, so the air circulation in the tent was very limited, and breath moisture transformed immediately to frost forms on the inside wall. 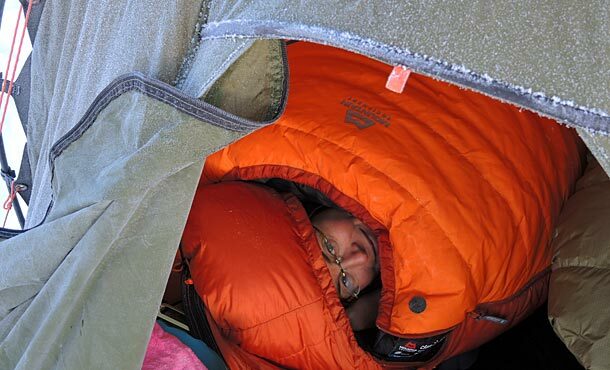 This is actually no problem, but because of the narrowness in our tent and the constant contact with the tent wall we had to deal with wet sleeping bags and the associated heat loss. So we decided not to camp everyday, but also stay every few days in one of the quaint and cozy wooden DNT huts where we could dry our gear. 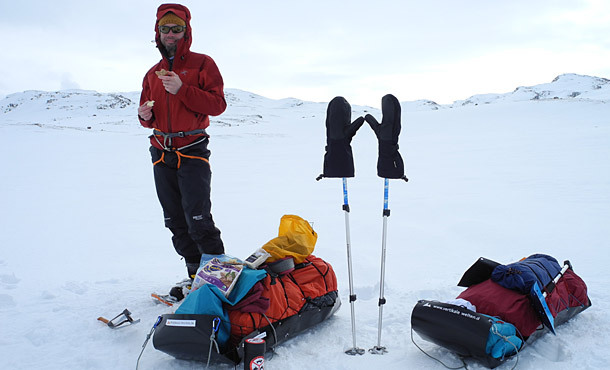 If we were hiking in poor visibility and whiteout, we managed the orientation mainly via GPS (positioning) and then Compass (determination of the target number, which we have aimed for our next destination). This way we usually achieved our planned day trips. Another fact we owe a great time advantage: During Easter vacation several main routes are marked with branches (Kviste). In poor visibility, the branches make orientation significantly easier and progress much faster, even without the use of GPS and Compass. 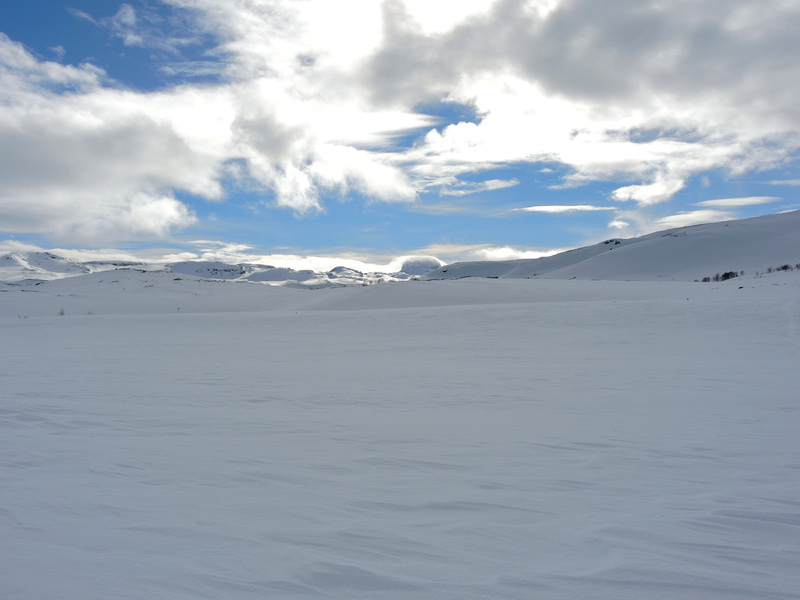 Hårteigen is the highest mountain in the Hardangervidda National Park. 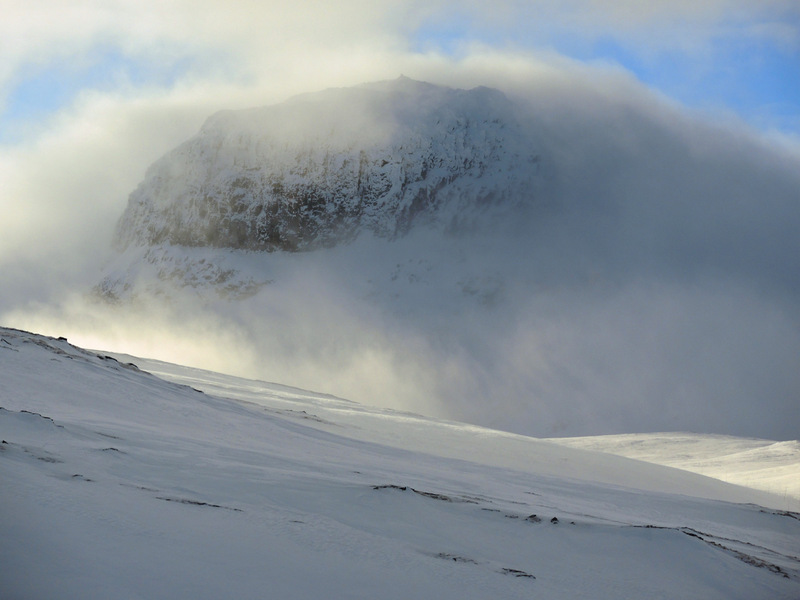 Our two-day attempt of an ascent of this distinctive mountain was unfortunately not successful. 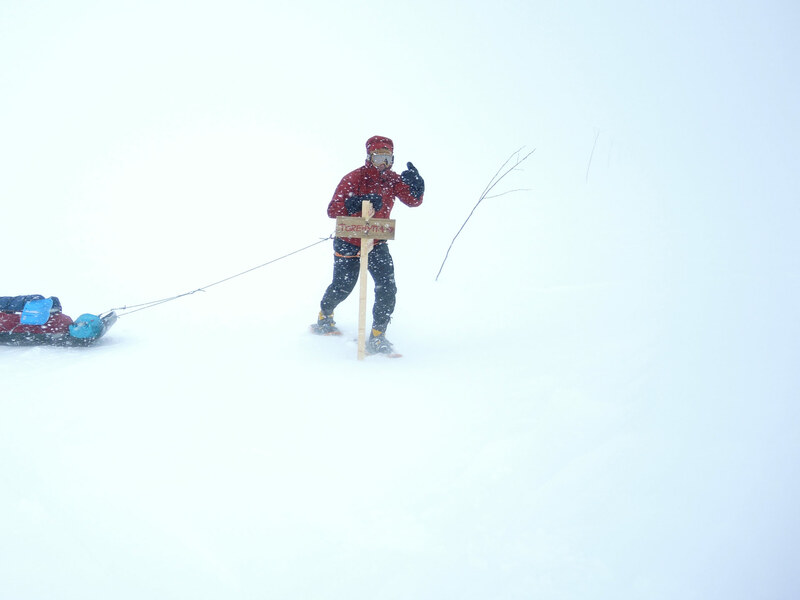 The first attempt with quite auspicious weather conditions ended like many days on the Vidda, namely in weather chaos with Whiteout: Snow storm without view, which blows the snow directly onto the face. At least we have learned that day, that the beginning of the climb didn’t start on the east side of the mountain – as usual during summer –, but directly from the north (GPS coordination see below). Good weather forecasts for the next day motivated us to try it again. 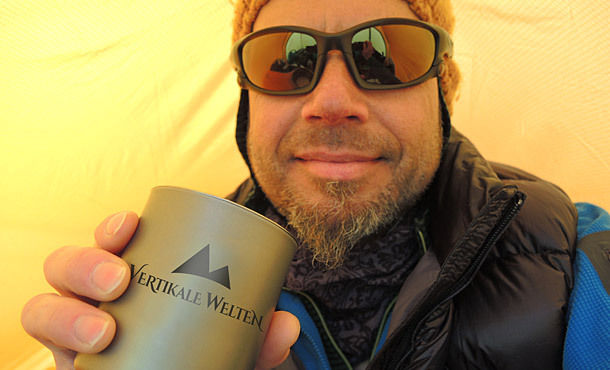 This time, we reached the beginning of the 45 – 50 degree steep north face climb without any detours. 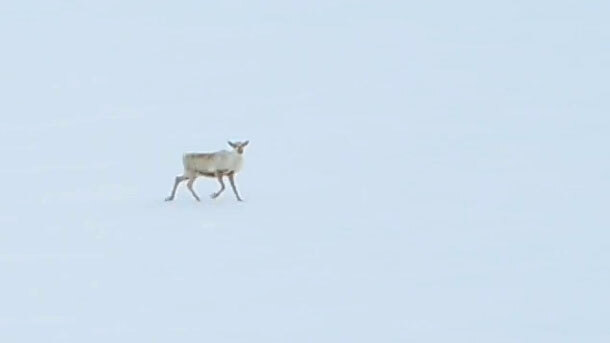 At its steepest end – the beginning of a distinctive groove – the snow under me suddenly broke away. A gap had formed between the fat snow blown ramp and the cliff. 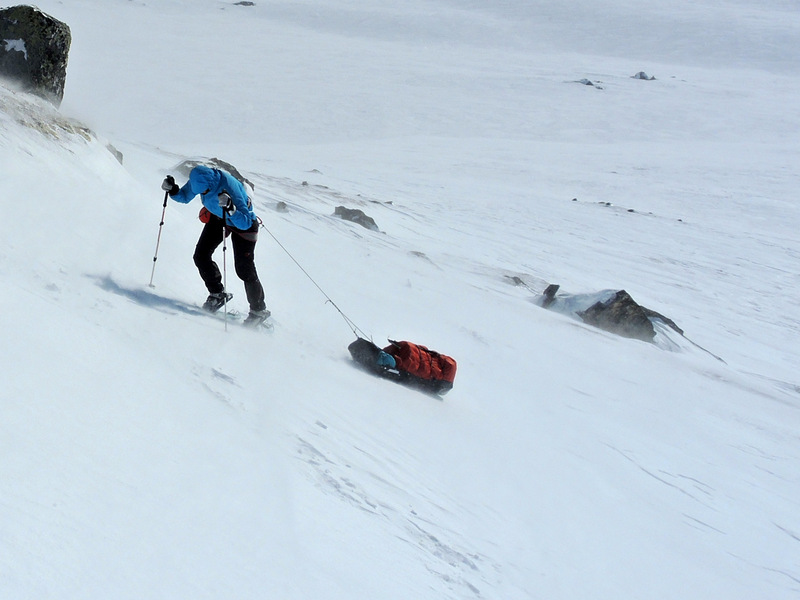 Unfortunatelly, we could not protect our climb up any furter in the soft snow slope. In addition, we didn’t know, if we would reach the cliff by jumping, whether the same trick would succeed on the way back. Because we didn’t want to risk this experiment, we enjoyed the great views at half height and climbed back downwards. 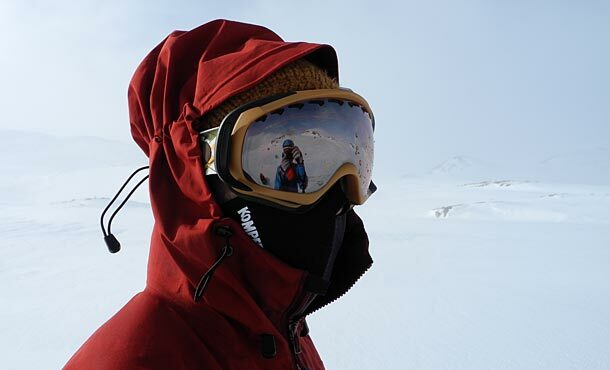 We had our doubts, if the mountain was climbed this winter, because of the delicate back up. At least we have not heard of an attempt. Another highlight a few days later was the following east-west crossing of the Hardangerjokulen, a 73 sq km ice cap with six glaciers. 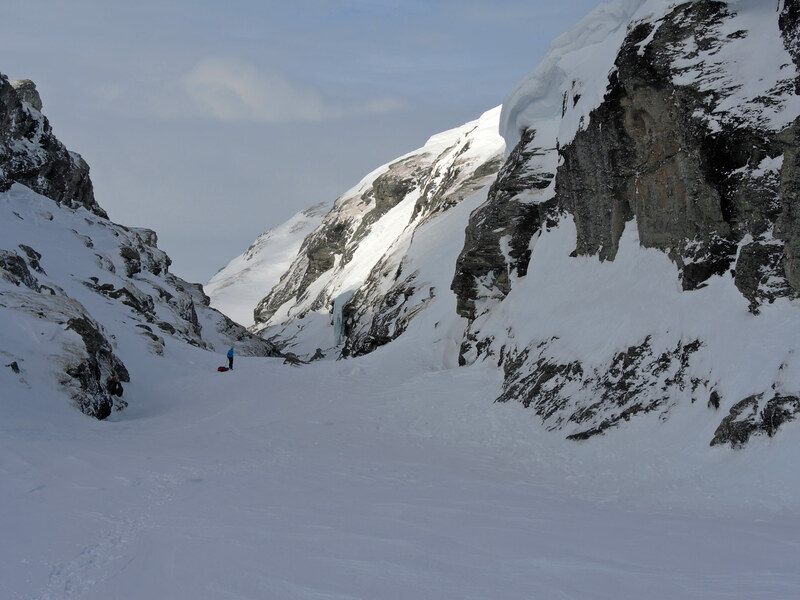 Comming from the south, we chose the access via Helvetesnutane and Torsteinsfonna glacier. The climb wasn’t quite as bad as the name Helvetes (hell) suggests, but still a force-consuming affair because of the permanently strong headwinds. 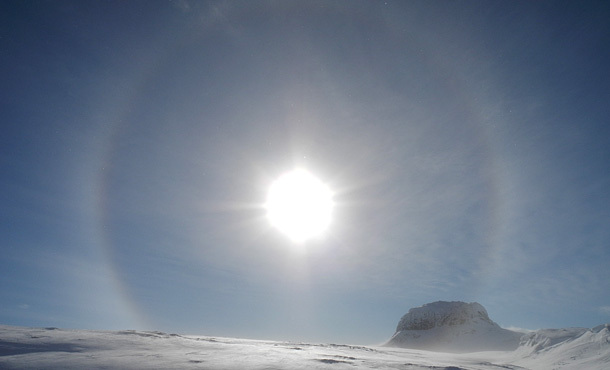 The orientation on the plateau glacier was reliably with the sun in the corner of my left eye. Haukeliseter by bus, Finse by train.  Both places are well accessible from Bergen or Oslo. Depending on your choice of the route approximately 120 – 140 km. 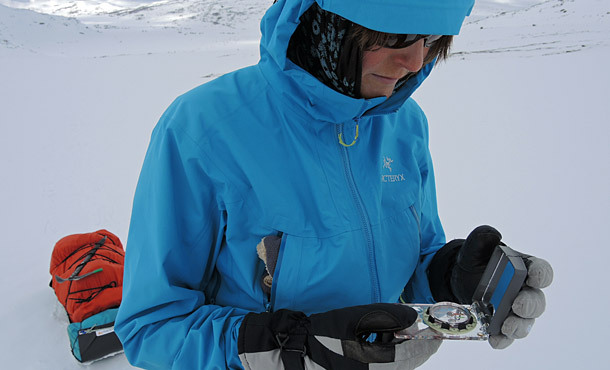 Very good skills in dealing with compass, map and GPS, as well as good equipment for arctic conditions. 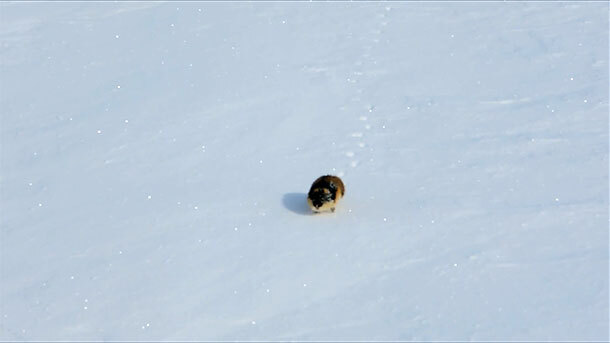 You should feel comfortable in the cold winter months at continuous temperatures well below zero, otherwise the tour will quickly become an ordeal. A week before until one week after Easter because of the Kviste and the long daylight. If you are fast, and if you can handle daily stages up to 35 km at all (!) 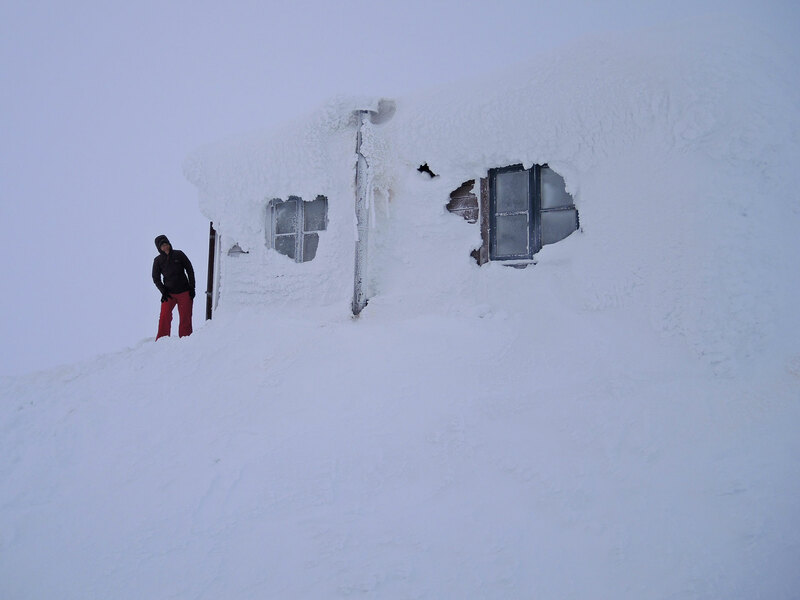 weather conditions, the north-south crossing can also be done exclusively with cottage accommodation. Still, emergency equipment for unplanned bivouacs is absolutely necessary. 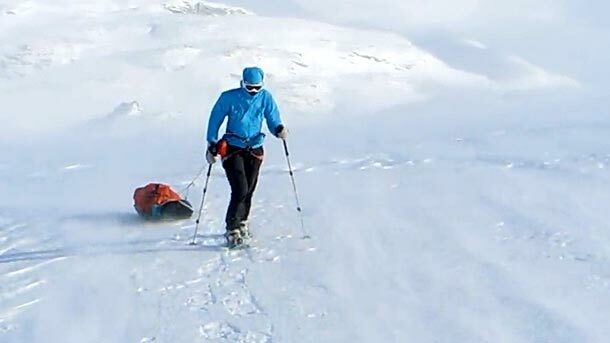 Another tip: If you want to get in contact with friendly Norwegians, I recommand to cross the Hardangervidda with snowshoes instead of skis. Half an hour by boat off the coast of Bergen, located on the small island of Holmen, is an extraordinary seafood restaurant: Cornelius is considered to be the best address for unusual fish dishes in Norway, the “Meteorological Menu” is a culinary experience. The restaurant chef in person picks his guests up from the harbor of Bergen with his motor yacht – a real highlight.